Traditional, authentic steel drum band from the gulf coast of Florida. We’re preferred vendors at the Sandpearl Resort on Clearwater Beach and the Don CeSar on St. Petersburg Beach, but we perform all over central Florida including Tampa, St. Petersburg, Clearwater, Sarasota, Bradenton, Longboat Key, Siesta Key, Lido Beach and Anna Maria Island. Our members have performed steel drums with the Tampa Bay Steel Orchestra, and the Florida Orchestra. We play all kinds of events, but we specialize in traditional steel pan for wedding ceremonies, cocktail hours, and rehearsal dinners. All size groups are available from solo to quartet and larger! Parties and events in Florida need a real steel drum band! We’ve appeared at Busch Gardens, Dunedin Mardi Gras, Gasparilla, and many other events and venues. We can provide small combos, or a big carnival band. 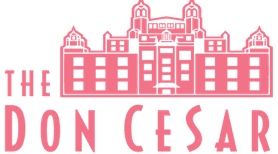 We’re preferred vendors at the Don CeSar, the Sandpearl, and many of the best resorts in the area. We play a great mix of both traditional and island music for your wedding ceremony, cocktail hour, and rehearsal dinner. Hire a traditional, authentic steel band for your next company event! We play all types of corporate events, and can set the perfect mood.